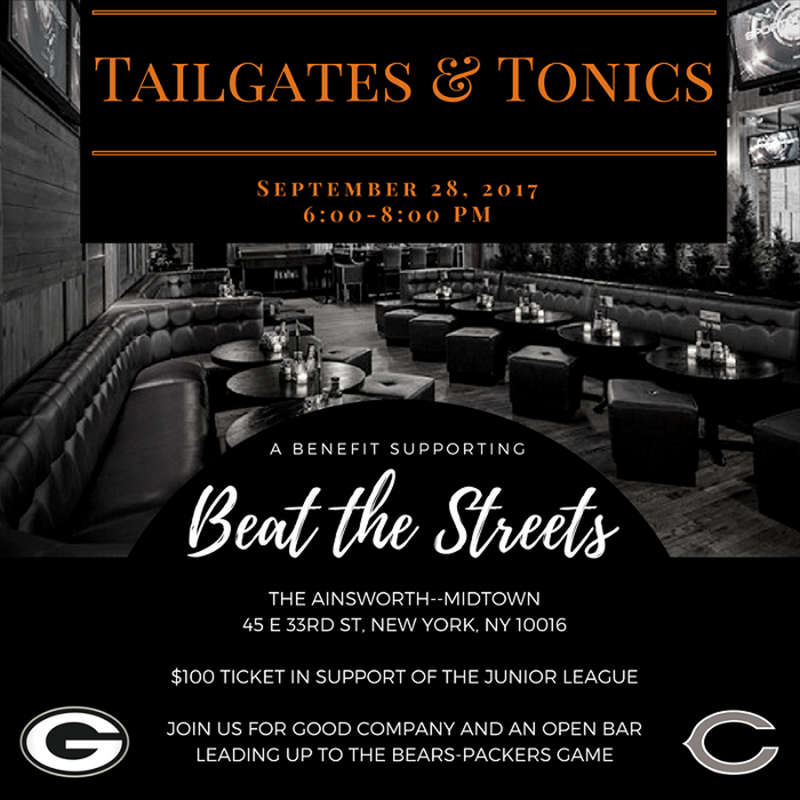 In support of the Junior League, which will be kicking off in October, we invite you to Tailgate & Tonic for a night of good company and entertainment. Leading up to the Bears-Packers game, enjoy food, fun, and an open bar with us. Please reserve your ticket here and stay updated on Facebook. All proceeds will benefit the BTS Junior League, the top program for middle school youth wrestlers in the city.